Elegant Rose Flower Lace Handheld Folding Hand Fan for Dancing and Costumes Beautiful sheer fans in several colors. 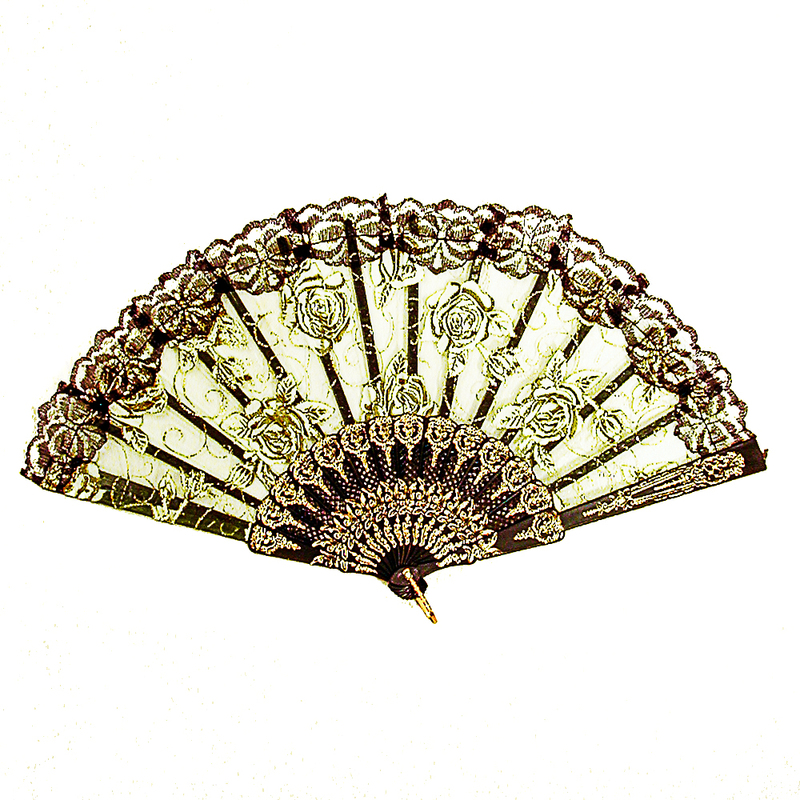 These fans are designed with white roses, glitter accents, and trimmed with lace. They are made of lightweight plastic and fabric. They are compact and easily foldable. They are perfect for dances, parties, stage performance and as costume accessories and they make a great gift. Color: green Hue: Code: #65FFC3. Measurements: width 17", length 9.